Spring cleaning! According to the metaphysical principle of Correspondence, "As Above, So Below; As within, so without", the condition of your living space reflects inner states as well. So take a peep--how much excess is cluttering up the clarity? Think of your fridge as your stomach and your bedroom as your lovelife. Support inner changes with outer expression. You've got until the 19th; after that astrological forces draw attention elsewhere... like outside to play in the wondrous springworld. 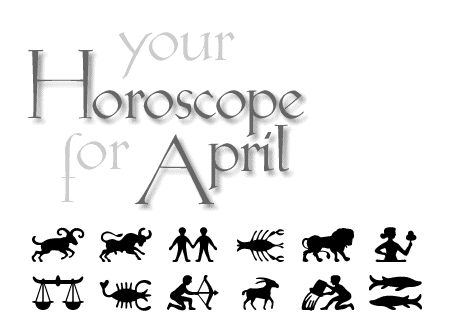 Capricorn horoscope the month of April 2007. By Tofino astrologer Karedwyn Bird for Tofino Time Magazine.